We are drawn to choosing plants for our landscapes based on their color and form, but beyond form and beauty, there are several plants and shrubs that pose a health risk or threat to both humans and pets. For animals and small children, it is better to avoid having these plants or shrubs in your landscape. Some plant toxins cause mild reactions, while others are fatal. When you think of poisonous plants, poison ivy may be one of the first plants to come to mind. Contact with poison ivy, poison sumac and poison oak can cause severe skin rashes that lead to blisters on the skin. These blisters can become infected and cause systemic health problems, as related by the University of Florida. Although appreciated for the beauty of their foliage and form, there are some ornamental plants that are poisonous. The berries of the daphne, yew, red sage and jasmine plants are fatal if ingested. The foliage of the yew plant has a higher toxicity than its berries. Seeds and pods of wisteria and golden chain plants can cause severe poisoning that can lead to death. These flowers may not be the choice addition for your home and garden if you have young children and pets. Iris, star of Bethlehem, monkshood and larkspur all cause digestive disturbance if consumed. Lily-of-the-valley and foxglove also cause irregular heartbeat, and large amounts of bleeding hearts are poisonous. 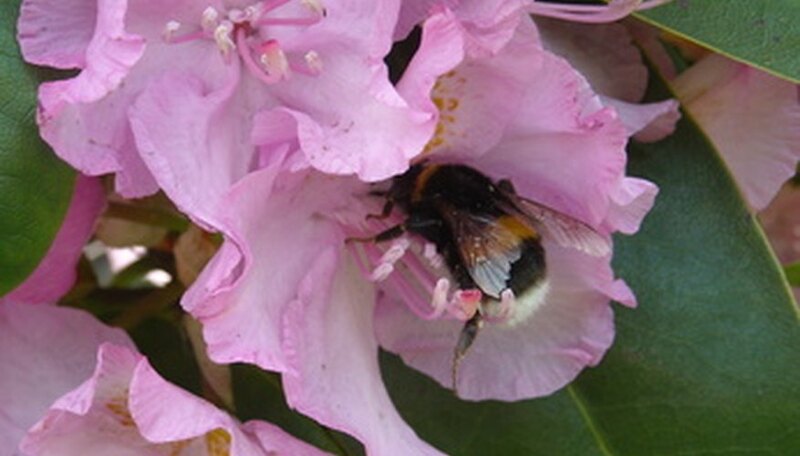 Azaleas and rhododendrons are popular additions to manicured landscapes, yet their leaves and nectar are toxic. Accidental ingestion can lead to vomiting, diarrhea, headaches, weak muscles and arrhythmia. Serious progression of the infection can lead to a coma or death. The hydrangea bush's large flower clusters are toxic. Hydrangea poisoning causes vomiting, itching, weakness, sweating and in severe cases, the poisoning can affect blood circulation and cause a person to slip into a coma. Other poisonous shrubs include box shrubs, chockcherries, Christmas berry, common privet, daphne, jatropha, lupines and mountain mahogany. Leaves, berries, seeds or the entire shrub is poisonous. The main part of these plants that contain the poison is the sap. The sap has poisonous toxins that can affect a person by direct contact with the plant or by indirect contact from items or animals that touched the plant. As stated by the University of Florida, even the smoke from burning poisonous plants can carry the toxins that can make you sick. The sensitivity of people and animals to poisonous plants varies. Some are very sensitive and immediately develop symptoms, while others may not display sensitivity to the plant poisons. Education and prevention are the best tools for avoiding plant and shrub poisoning. Teach your family and others about these plants, how to identify them and why they are dangerous, and to avoid contact with them. Know the plants in your landscape. Remove existing poisonous plants from your yard, and do not select poisonous plant species for your landscape design.